This post is sponsored by Shop Morning Lavender. All opinions are my own. 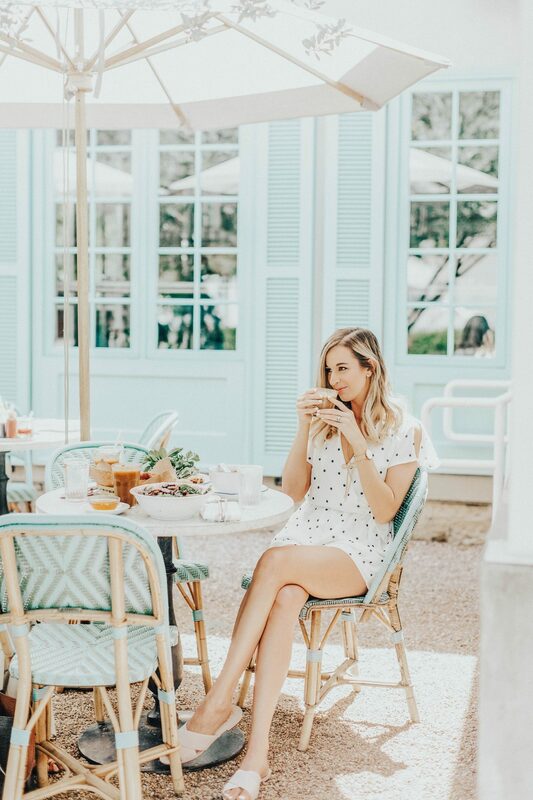 Earlier this Summer, I got the chance to work with Shop Morning Lavender on their Austin City Guide and it was so much fun! 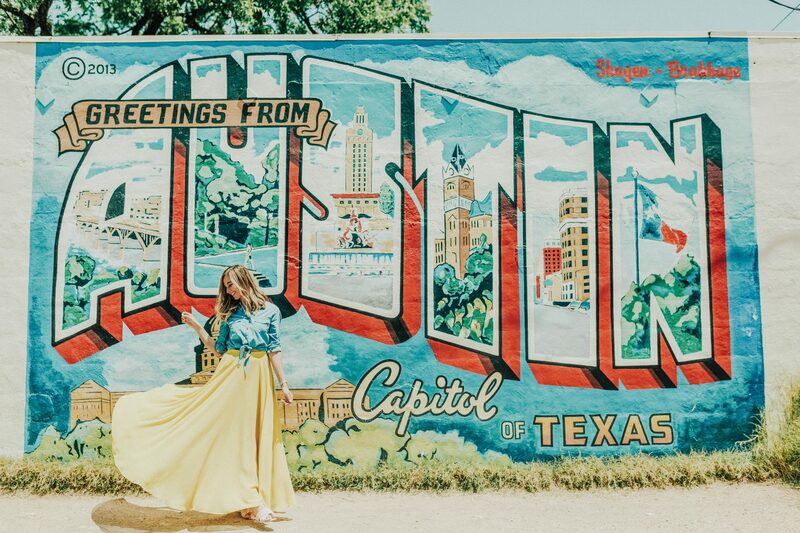 One of their stylists and photographers flew in from California to shoot this with me and I loved being a tourist in a city I’ve called home my whole life! Not to mention the clothes were to die for! I’m going to take you through every outfit I wore (with links of course) and where we shot. This really is something I’ll never forget and I’m so thankful to the girls at Shop Morning Lavender for reaching out to work with me! I’ve linked every look above each outfit to make it really easy for you guys! Be sure to head over to their website to see the full CITY GUIDE. 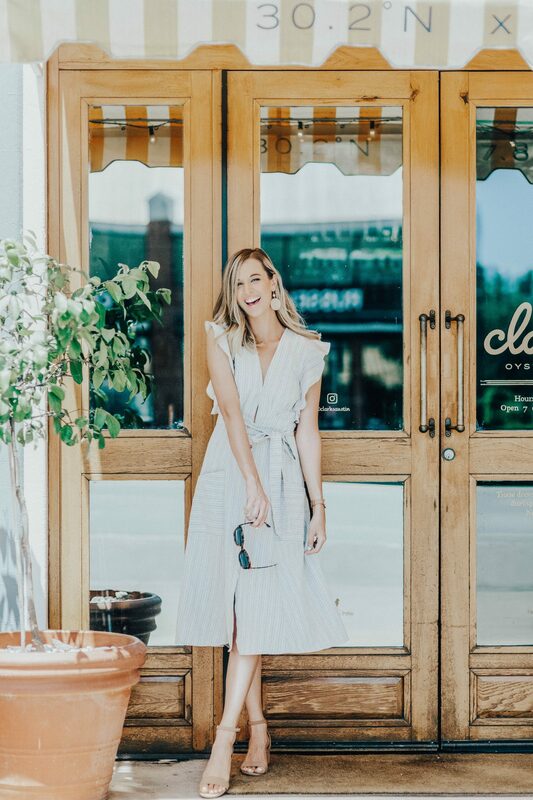 This first look features one of my new favorite dresses currently hanging in my closet! I love the stripes on this dress and the length is so perfect! I just wore it to a friends bridal shower! Such a great piece to have in your closet. The next look was at a spot that I’m quite familiar with and it’s one of my favorite spots in Austin! 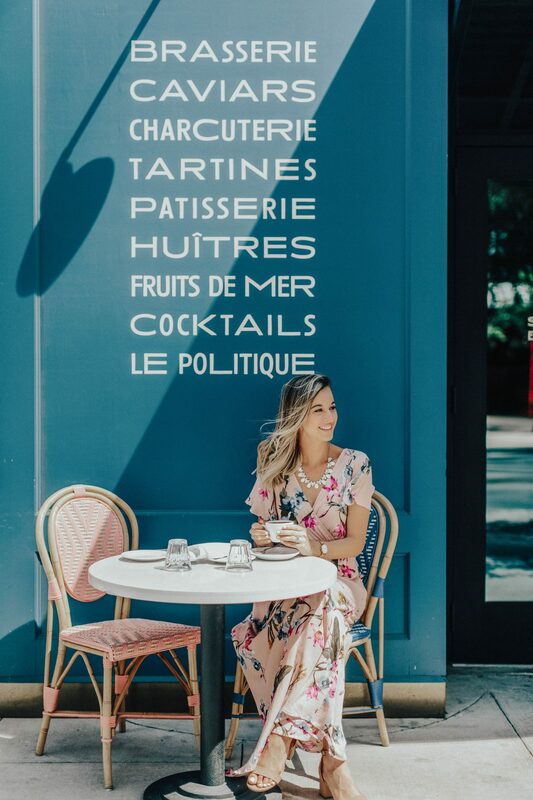 If you’re looking for marble tables, beautiful lattes and macarons this place is for you! They also have amazing Vietnamese cuisine! I’m wearing a black and white polka dot romper and some cute blush flats! So, perfect for this hot weather! Say “Hello” to the comfiest outfit of this entire shoot! This was such a fun little spot to shoot and I LOVED these mustard pants! 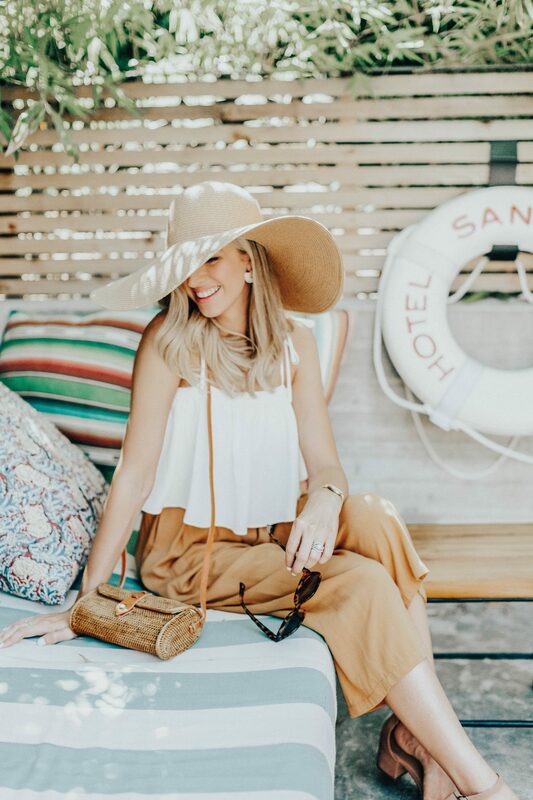 This took place at the San Jose Hotel on South Congress in Austin and we got to enjoy some yummy drinks while hanging out by the pool! I felt so trendy in this outfit and was loving every second of it! Outfit #4 consisted of the cutest mustard gingham crop tank and some comfy denim shorts! This is an outfit that I’ve worn many times since the shoot already! If you follow along on Instagram you may have seen this top in a couple of pictures already! 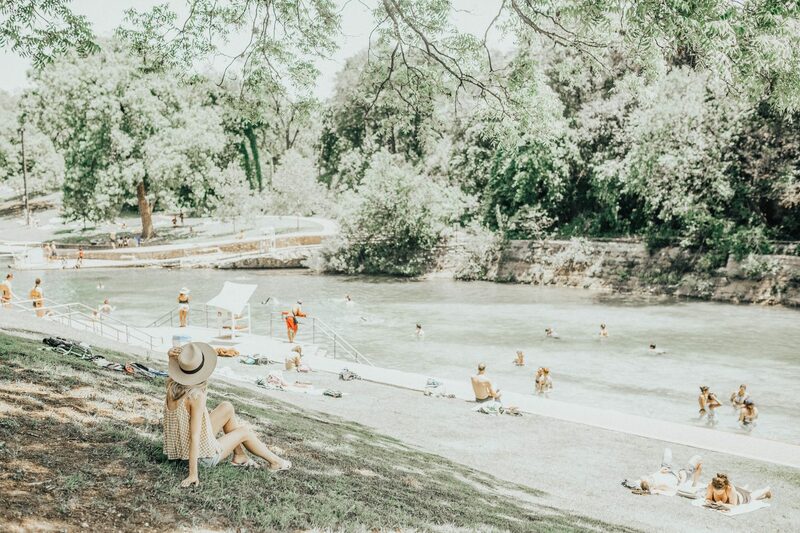 We made our way to Barton Springs Pool for this look and I’m so glad we did because the views are stunning! 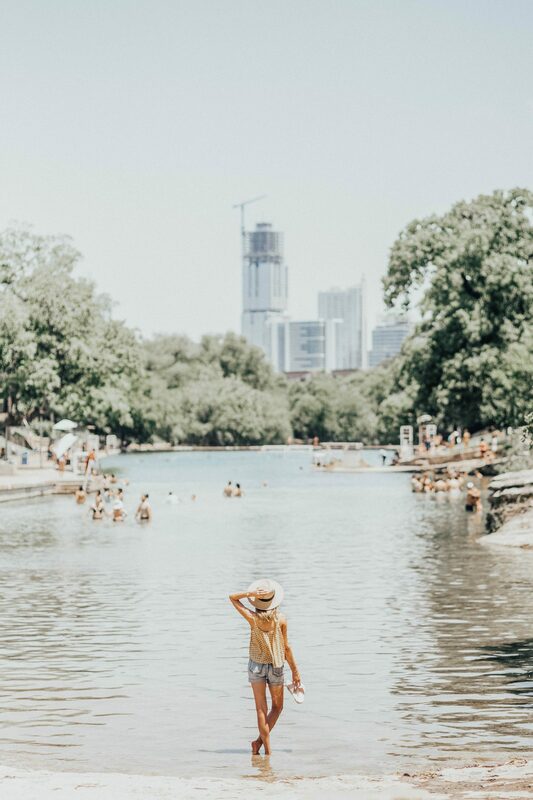 I’ve actually never gone swimming at Barton Springs so this is on my to-do list very soon! Stopped for a quick mural shot at this spot on South 1st Street! I just love this gorgeous maxi skirt from Shop Morning Lavender and it comes in a couple of other colors too! I also linked this denim tie-top that is super versatile! 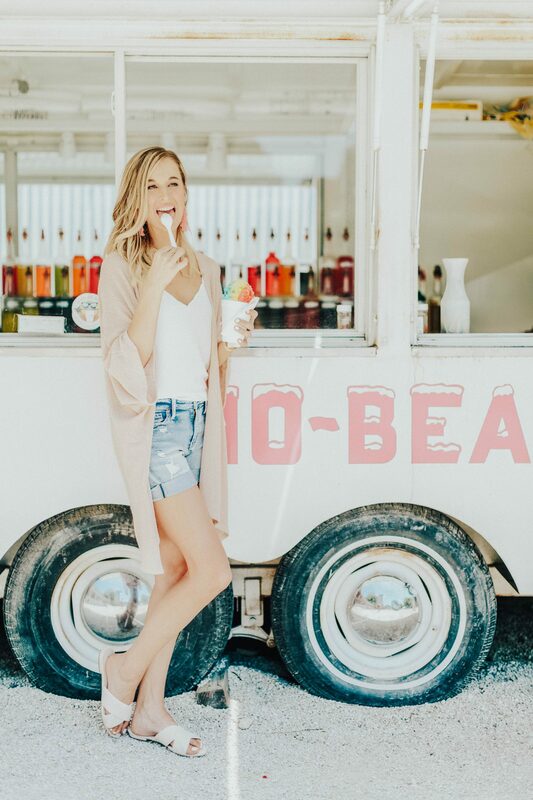 Mid-shoot we took a little snow cone break and shot this casual look that I literally wear once a week, no kidding you guys. I love this kimono and these shorts are my GO-TO because I love that they’re a little longer for my tall body! I got the rainbow flavor for the “gram” but my favorite flavor to get is Wedding Cake! Floral maxi for the win! I loved this blush maxi dress and it was so comfy! We got a latte at Le Politique as an afternoon snack but I’m hoping to go back soon to try more of their menu! 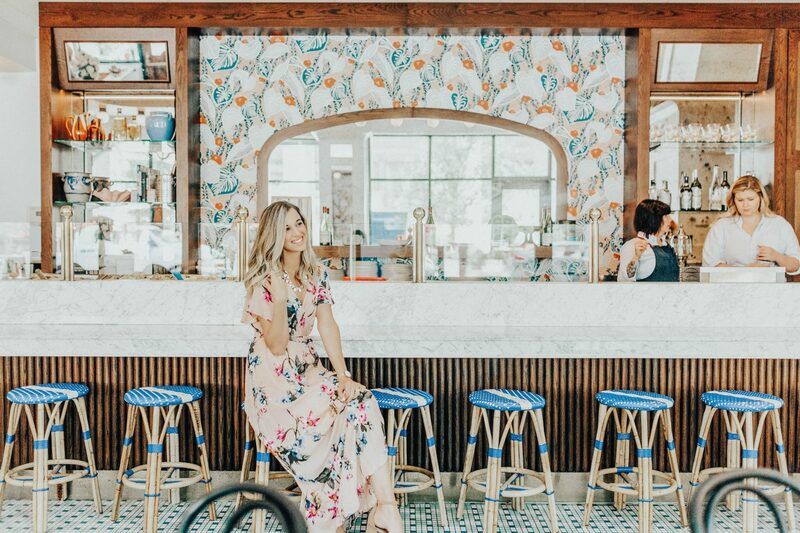 This is located on San Antonio Street in downtown Austin and as you can see, their bar is super Instagram worthy! Last but not least, I pranced around in this little romper to get a fun shot by this mural on Congress! 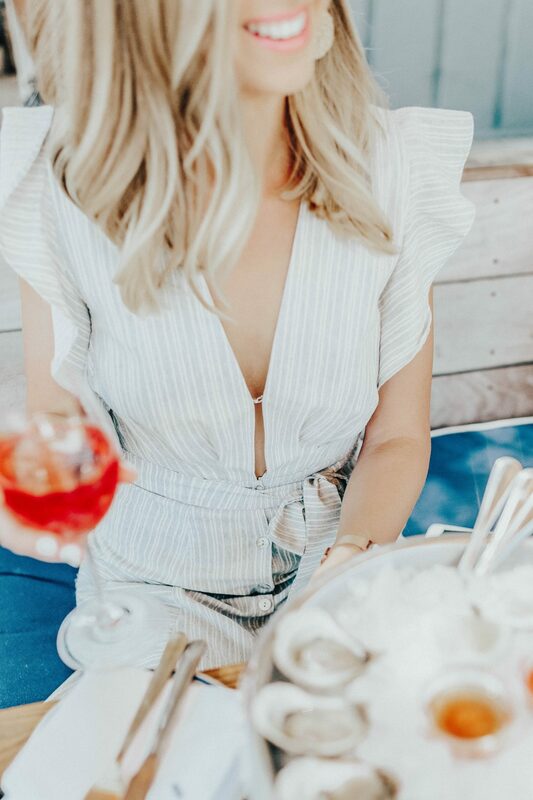 I’ve worn this romper a couple of times now to different events and it’s one of my favorite items from the shoot. Plus it works for my height which is not something I can say for most rompers! This was so fun to shoot and even more fun to blog about! 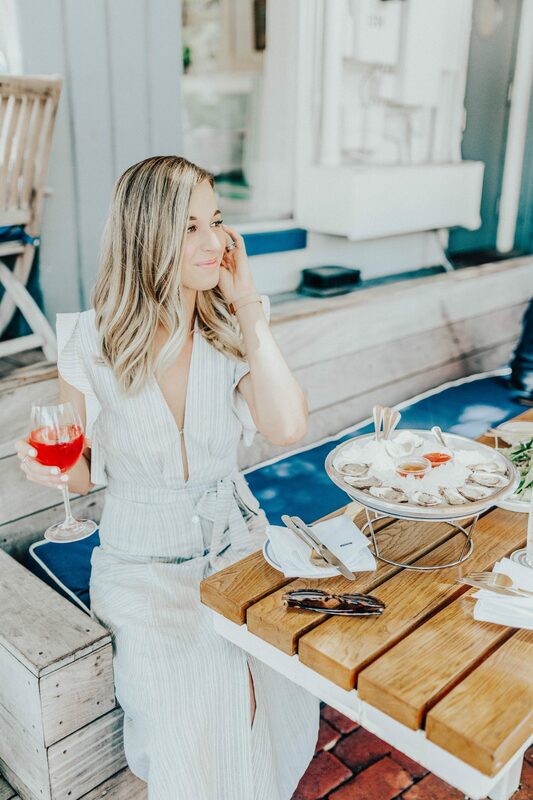 I hope y’all loved seeing all of these cool Austin spots too! If you have any questions regarding fit or even about a spot we visited, comment below and I will answer! A Tall-Girl Romper & GIVEAWAY! Next Post We’re Pregnant with Baby #2! That first dress is SO cute! I’ve been dying to go to Austin! such cute looks- hope you had a great time! You look so cute! Austin is one of my favorite cities! Great photos, I really like the outfits you chose for this weather! What a cute post! I love Morning Lavender and I’ll definitely need to check out Austin! I’ve always wanted to visit Austin! Love all your looks too! !